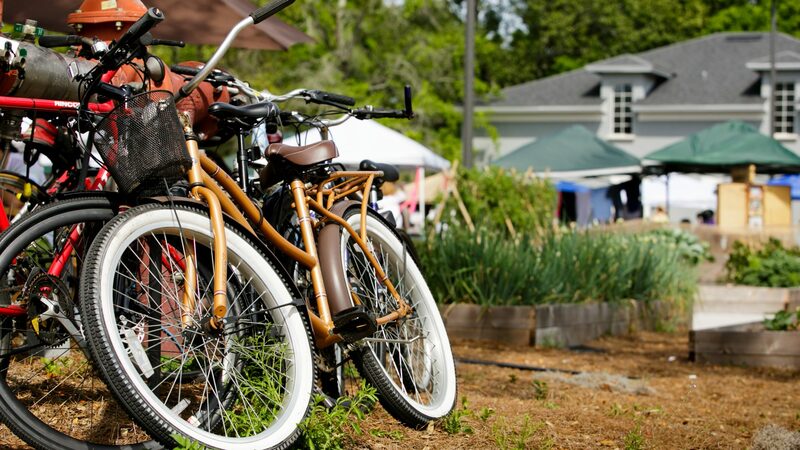 The Audubon Park Community Market is a weekly gathering of growers, ranchers, fishermen, chefs, artists, handicrafters, musicians and neighbors that takes place at Stardust Video and Coffee (1842 E. Winter Park Rd. Orlando, FL) in the Audubon Park Garden District. Since 2009, the Audubon Park Market has been Central Florida’s source for the best selection of local food; from freshly picked produce to fully prepared meals. This pet- and family-friendly celebration of food, friends, art, and live music takes place in the Stardust parking lot every Monday (rain or shine) from 5 to 9 p.m. The Audubon Park Community Market is brought to you by Gather &. The folks of the Audubon Park Community Market work hard to ensure they're offering only the finest of foods that has been grown, raised, caught, or carefully made right here in Florida, emphasizing freshness and encouraging sustainable practices. You'll find freshly picked produce; cow milk; goat milk; cheese; eggs; yogurt; breads; pies; honey; seafood; grass-fed beef; grass-fed lamb; pastured chicken & pork; cupcakes; vegan desserts; jams & jellies; salsa; pickles; dips; dressings; sauces; snacks; and much more. Not sure where to park when you get to the market? There's always plenty of parallel parking on East Winter Park Road, near the new K-8 or check out our handy parking map here!